Latest Updated On 10.04.2019 : SSC Has Increased The GD Vacancies………Now Total Vacancies Are 58373………Vacancies For Male Is Increased From 54953 To 50066………While Female Vacancies is Increased From 7646 to 8307………….Get Details Through The Image Given Below………..
Ssc gd ki cut off 78-82 ke lagbag jayegi ishse upar nahi jayegi . Sir ner ka cut of mark kitina Hoga? Sir merit all india ki ek hi rhegi ya state ki alg alg. 2013 ka jharkhan me 08 distric ka open raily bahali ka 3rd list niklega ki nahi. 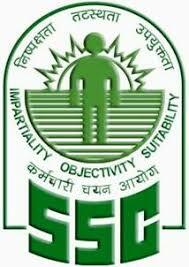 SSC GD exam date announced. 11/02/2019 to 11/03/2019.